Ben Lomond Station is a 33,000 acre high country station nestled right behind Queenstown. Get away from the hustle and bustle of a busy lifestyle to relax in the wilderness. Explore the high country and experience local hospitality by the Fosters. Have a country escape and stay at one of our exclusive lodges or in a private rustic mustering or goldmining hut. Now accepting only group bookings for 10 or more at our Lodges. Our remote back country lodges are the perfect venue for a board meeting, team building retreat or product launch with a difference. Take a spectacular journey through the High Country following historic gold mining water races built 150 years ago passing through beech forest and tussock lands. There are short day walks and multi-day options. Ben Lomond Station opens the gate to the public several times a year for various events. 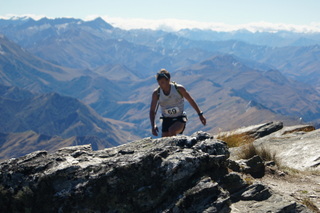 In 2012 we kicked off the inaugural Shotover Moonlight Mountain Marathon - this is held in February every year and is rapidly becoming one of New Zealand's must-do trail running events. For over a decade the Fosters have been hosting various team building, corporate functions and parties at our Lodge. Our woolshed is a fantastic wedding venue - get married on the shores of Moke Lake, photographs at historic Sefferstown and then a reception at the Woolshed or at one of our Lodges.....We can tailor a package to suit your needs.